This is one of my goto recipes for weeknights. 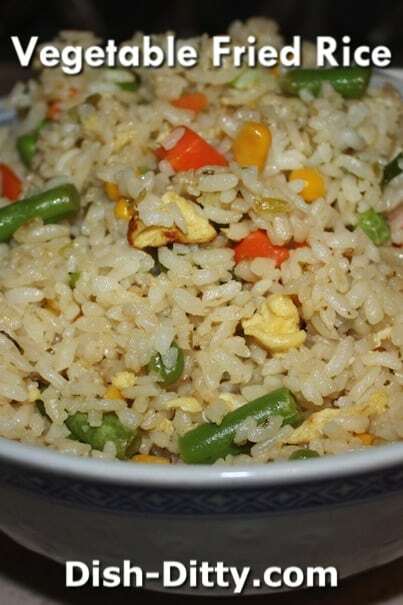 This Vegetable Fried Rice Recipe is super easy and doesn’t take many ingredients. Great as a side dish to chicken. This is one of my go to recipes for weeknights. 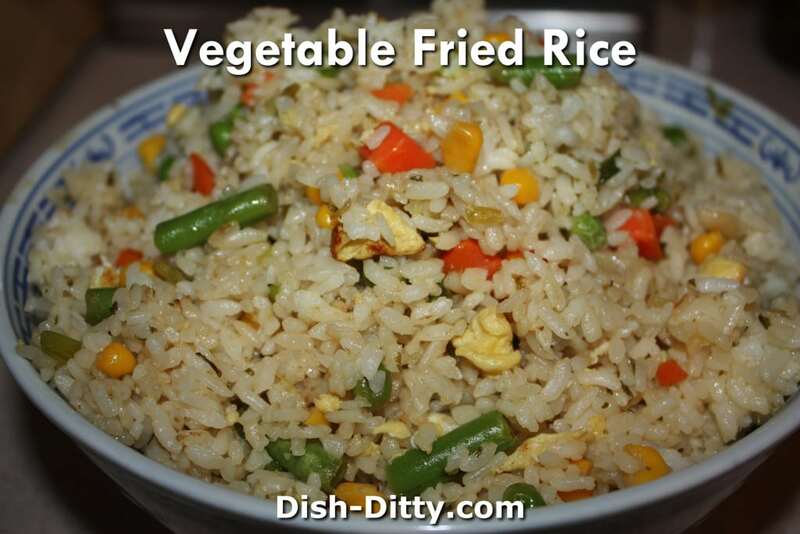 This Vegetable Fried Rice Recipe is super easy and doesn't take many ingredients. It is great as a side dish to chicken. 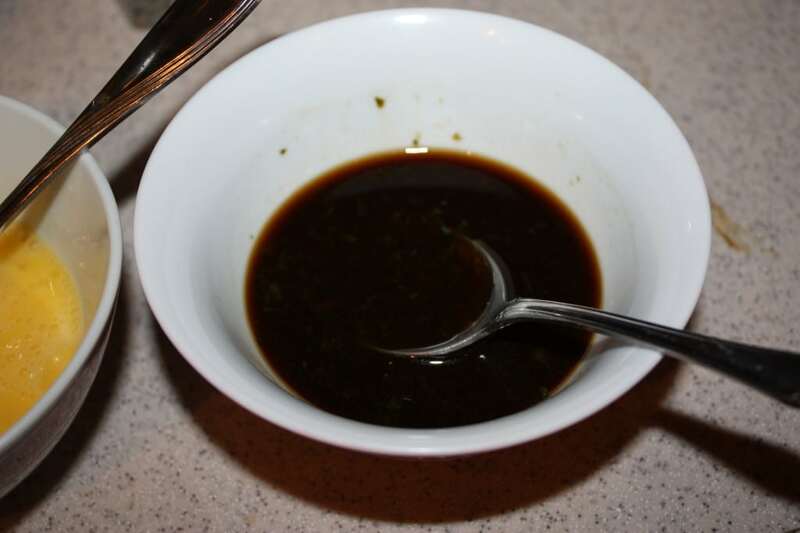 In small bowl combine cilantro paste, soy sauce, sherry and vinegar. Set aside. 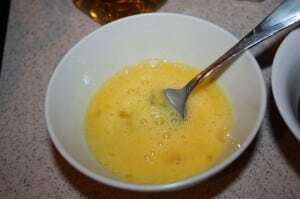 In small bowl, beat 1 egg with a dash of salt. Set aside. 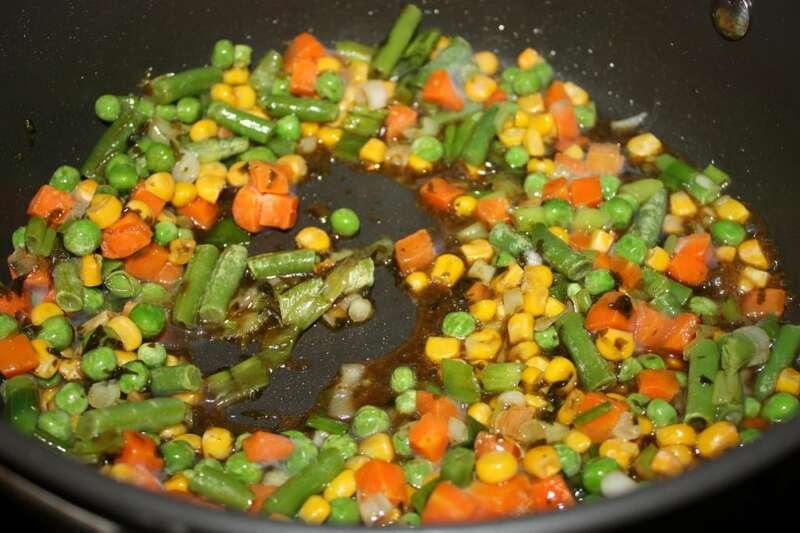 Put 1 Tablespoon of oil into pan and heat on medium-high heat. Add green onions and vegetables and cook for about 1 minute. Vegetables will mostly be not frozen, but won't necessarily be hot yet. Add soy sauce mixture to vegetables and bring to a boil. Cook for about 1 minute and remove (I usually just put it in the bowl I'm planning to serve the rice in). Remove from pan and set aside for now. Pour eggs into pan and cover pan so it is a thin layer of eggs, like a crepe. 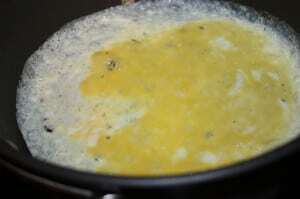 Once cooked, use the spoon/spatula you are using to break up the eggs. Put eggs into bowl with vegetables. Add 2 Tbl oil to pan and add rice. At this time it depends on if your rice is cold and hard (like mine pictured here), or if it is fresh and soft. If it is cold and hard, you will need to mash it. I use Pampered Chef's Mix-n-Chop. 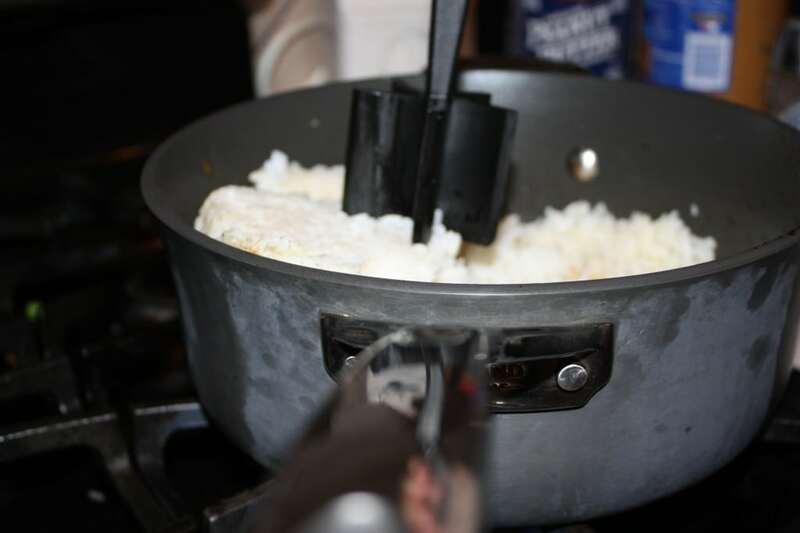 It works great to break up the rice. I used to use a potato masher, but the rice would just get stuck in it and it would make more of a mess. Anyways, get your rice to be broken up and not clumpy. Now add back all the ingredients you set aside. 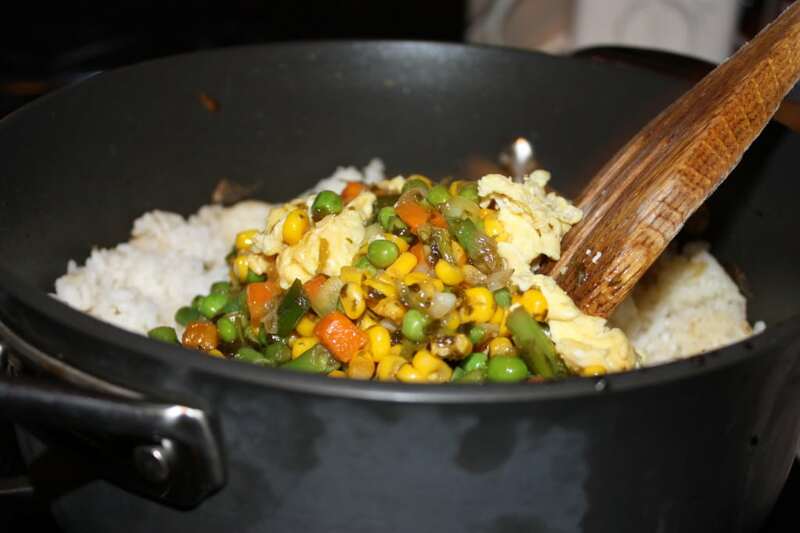 Cook the vegetables and rice together on high heat while constantly stirring. Cook for about 3 minutes. Taste it and see if you need more salt. If you used a full sodium soy sauce, you may not need any salt. I use the lite soy sauce so I added about 1 tsp of salt. When everything looks like it's nicely combined and hot, remove from pan and serve. 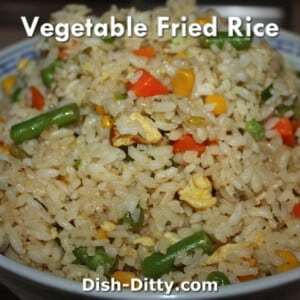 No Replies to "Vegetable Fried Rice Recipe"
This is one of my goto recipes for weeknights. Super easy and doesn’t take many ingredients. Great as a side dish to chicken.